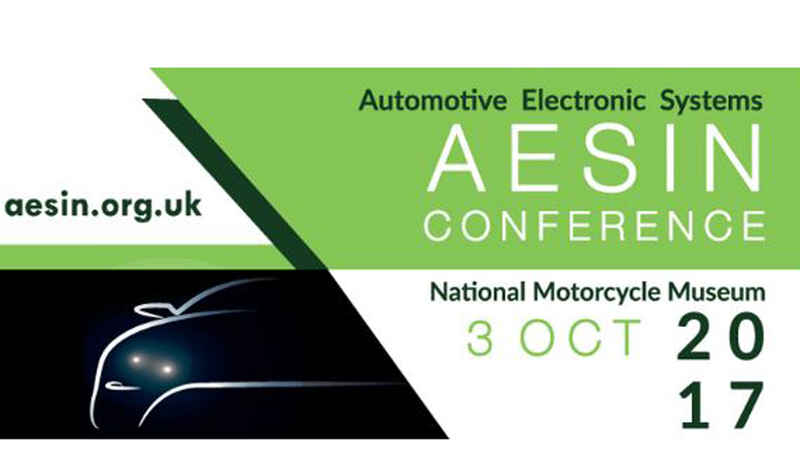 UK Autodrive will have a strong presence at this year’s Automotive Electronic Systems Innovation Network (AESIN) annual conference – with no fewer than five of our member organisations presenting at the event. Two of the conference’s key themes this year are “ADAS & Autonomous Vehicles” and the “Connected Car”, with “Automotive Security”, “More Electric Powertrain”, “Research & Development” and “Software” the other topics of discussion. Ford’s David Skipp will be first up, with an Executive Session presentation on the “UK Roadmap for Intelligent & Connected Vehicles” while, later in the day, Jaguar Land Rover’s Mark Cund will provide a general update on UK Autodrive. RDM Group, who are designing and constructing the 40 pavement-based UK Autodrive ‘pod’ vehicles being trialled in Milton Keynes, will also be presenting on their activities and HORIBA MIRA’s Richard Stocker will be taking part in the strand focused on a “more electric powertrain” – looking specifically at the main ageing mechanisms in lithium ion cells. The Thales e-Security team will be providing a trio of experts for the event, with Peter Davies chairing the session dedicated to automotive security, in which his colleagues Pali Surdhar and Stuart Soltysiak will present on “A Systematic Approach to Securing Automotive Systems”. To find out more or to register for the event, please click on the website link above.